Hey guys, I don’t really have time to write much this week, but The White Princess came out a week ago already and I wanted to give you some quick thoughts. This is a continuation of Philippa Gregory’s Cousins’ War series (I previously reviewed the following other books in the series: The White Queen, The Red Queen, The Lady of the Rivers, The Kingmaker’s Daughter, and the nonfiction companion Women of the Cousins’ War). In this book she focuses on the eldest daughter of Edward IV, the wife of Henry Tudor (Henry VII), and the mother of Henry VIII, Elizabeth of York. If you want more information about what is contained in the story, you can see the feature I wrote about it for the SheKnows Book Lounge. Gregory’s Elizabeth was in love with her uncle, Richard III and, in fact, even carried on a love affair with him (before this book begins, obviously, since he is dead by the opening pages). This is not outside the realm of possibility, since there were rumors at the time he was planning to marry her. However, I thought we were reminded of this fact just a little too often at the beginning of the book, where seemingly every mention of Richard was followed by something along the lines of “my lover.” Luckily that went away before too long, particularly as Elizabeth began to find her way in her marriage to Henry Tudor. What makes The White Princess really special is the level of conflict Gregory introduces that is internal to Elizabeth. She finds herself stuck initially between her mother (and her missing or dead brothers who should have inherited the throne) and her husband. This may not seem like such a conundrum as she didn’t exactly marry for love, but once she has a son who is set to inherit the throne from her husband, Elizabeth’s life becomes much more difficult. There are so many rebellions and pretenders to the throne around and Elizabeth has to work out for herself where her loyalties truly lie. Although this is a major theme, each time it is presented in a new enough way that it doesn’t seem redundant, just ever more heartbreaking for Elizabeth. 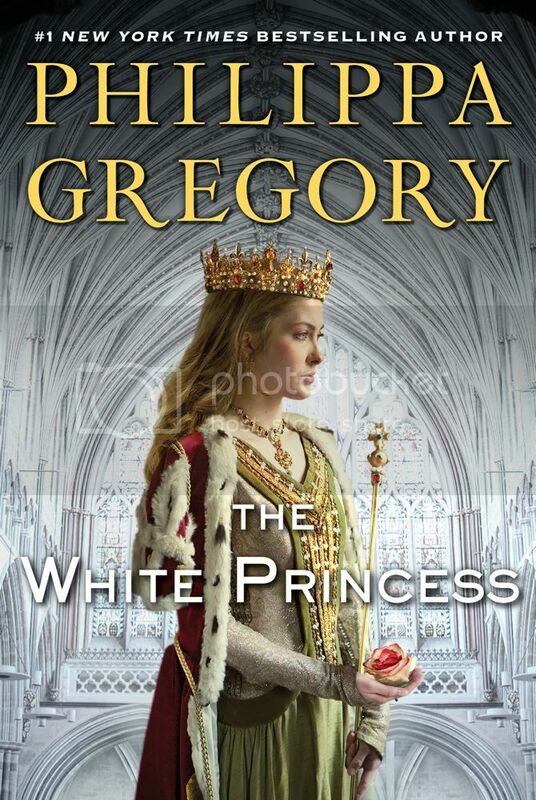 I just finished reading The White Queen and really enjoyed it. I’m looking forward to reading the rest of the books in the series. There usually seems to be a quirk that gets under your skin in her books most recently. I’m glad this one doesn’t last long. I’m looking forward to this book. Elizabeth must have had quite a life and I don’t envy her for it.